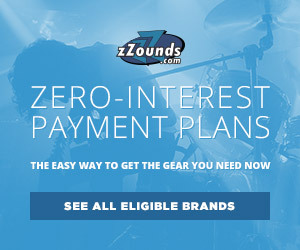 Welcome to zZounds Beat Connection. 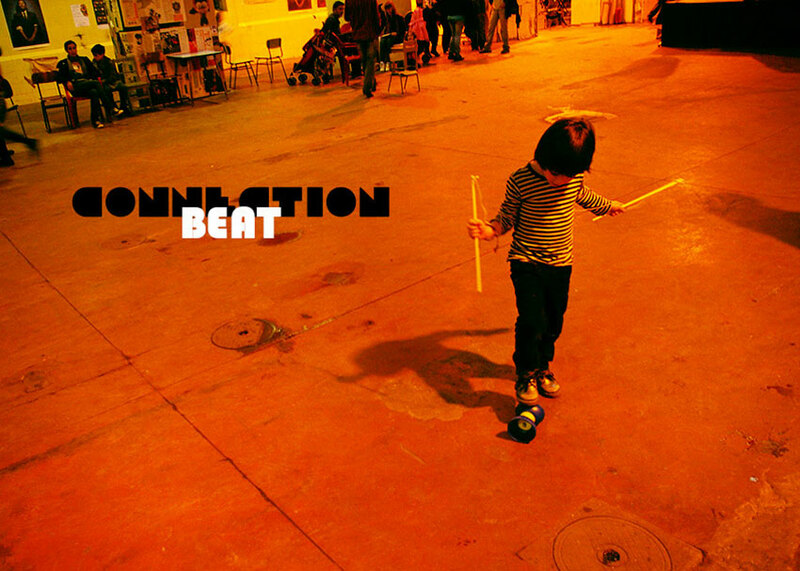 Beat Connection is a series that examines modern and vintage dance styles by providing you a musical starting point to get you going in that direction. Today we shift our focus to the tropical-tinged dance music of Puerto Rico: Reggaeton. Centered around the barrios and projects of San Juan, Puerto Rico, this beat joined the rico y apegadito (sweet and close) intimacy of existing salsa and rumba rhythms with the hard-nosed, electronically-tinged dancehall sound of Puerto Rico’s Caribbean neighbors. Subconsciously, producers like Eliel, Luny Tunes, and DJ Nelson, who would go on to produce stars like Don Omar, Ivy Queen, and Daddy Yankee, were hinting at a distinctly unique Caribbean experience. These were two younger generations — one based in New York and Miami, and the other on the island, trying to join a bi-forked culture. In the past, musical tempos clocked upwards of 160 BPM. But that was the stuff these young producers’ parents listened to. Now, kids wanted to hear jams that matched the pace of the hip hop and dancehall songs they were growing up with. As big a debt as they owed to Boricuan greats like Willie Colon and Eddie Palmieri, it was the influence of artists like Shabba Ranks or El General that would point them toward the new sound they were after. Let’s dissect a little bit of history. The heartbeat of Reggaeton lies in two beats. The first one, sadly, was the homophobic dancehall anthem “Dem Bow” by Shabba Ranks, released in 1990. As big of a barn-burner “Dem Bow” was in Jamaica, in Panama ex-pat Jamaicans turned their hosts over to the wicked “clave” beat it held, and together they’d turn it into something else far different. Seeking to tap into a Spanish-speaking market eager to hear more dancehall styles in that vein, and in their language, a group of Jamaican and Panamanian producers came together to create their own “version” of such tracks. Released in 1991, Reggae Espanol would contain the explosive “Ellos Benia“. Tweaking the formula, so to speak, they loaded the “Dem Bow” riddim with bits of Latin percussion. A few timbales here and there, and a decidedly more pronounced Latin swing did wonders for transforming it into the proto-reggaeton track it hinted at. However, as foundational this song was, it doesn’t contain the loop that would be sampled countless times from here forward. For that, we have to search some deep, deep vaults. Just a year earlier, NYC producers Bobo General and Smiley Wonder had staked their own take on the “Dem Bow” riddim. “Pounder,” the A-side, of the single presented a mainstream, smoother, sung take but somehow that release wouldn’t become the hit. On the flip side, in typical Jamaican reggae tradition, producer Dennis the Menace presented an instrumental, dubbed version of the original riddim. That flip side, in its own way, became the hit maker. When you listen to the track, and appreciate the bits of rolling timbal-like sounds not present before, that’s when you hear the divider separating dancehall from reggaeton. As DJs like DJ Playero started to release countless underground Puerto Rican dancehall mixtapes, slowly but surely, this instrumental would come to take shape and be heard soundtracking countless Boricuan parties. As the tapes themselves became increasingly less Jamaican-led and more Puerto Rican-made, the transformation was set. Reggaeton was now its own thing. However, to go one step forward, to truly take this sound out of the boroughs, we can find that the second beat of Reggaeton came from the influence of another wicked “Dem Bow” version released in 1993. One you just might recognize. Londonite ragga/soul duo Louchie Lou and Michie One took the “Dem Bow” riddim and gave everyone a blueprint on how to make it far more universal and palatable. They did so by keeping the tempo at a leisurely pace, way below 150 BPM. But now, rather than toast over the riddim, the duo actually vacillated between sung verses and quasi-rapping. Not much of a template, but a realization, “Rich Girl” softened some edges and hinted at how above ground and popular of a sound reggaeton could be. You didn’t have to be necessarily tough, male, or Puerto Rican to buy into this new style. You name it. Now, everyone from Shakira, Jennifer Lopez, all the way to Enrique Iglesias, Major Lazer, and Justin Bieber have in some fashion crafted songs in a reggaeton way. It’s a success that has endured when it could have faded into obscurity. Just think about this: there are teenagers now who have only known a Pitbull world. In the end, it seems there’s just something about that beat that won’t quit. Somehow, in the hands of artists like J. Balvin, Dave Nada, or Calle 13 it keeps evolving and folding itself into whatever’s hot at any particular moment. Our goal today is to give you some of that same beat connection. Note: I did swap out the hi-hat samples from this kit and replaced them with a sample from the Bitwig Studio sample pool called [Hi-Hat Silvery]. You can find this sample easily by searching for that term through Bitwig Studio’s preset finder. NOTE: All Plug-In settings are in corresponding screenshots. Once we have the pattern down, its a matter of finding sounds that are complementary to it to round out our own version. We’ll begin by doing this first: the tell-tale sign of a true reggaeton track is how closely it hues to a “tropical” drum sound. Forget true-to-life acoustic samples or heavy boom-bap drums, what we need are sounds that are synthetic in nature, yet tip their hat to reggaeton’s dancehall origins. I believe, of all the kits included with Bitwig, the closest one to what we’re looking for is the [Melt Kit]. The base sound of this kit gives us that Latin percussive grittiness we’re after, even before setting down a single pattern. Part of the brilliance of reggaeton, and of the “Dem Bow” beat used in “Gasolina,” is the way it sets your mind to subliminally think of movement and insert swing. You do this by laying down these bass drum and snare parts. What you see below is the 32 step, 2-bar loop we’ll treat as the foundation of the beat. Although the kick maintains a 4/4-floor beat, the snare does the work of accenting the back beat to take it into the realm of reggae music. Now, let’s give it some propulsion. The point of the following additions is to both mark a quicker time and to introduce a more pronounced syncopation. We do this by taking cues from the traditional 3:2 tresillo rhythm and applying it in principle with the addition of hi-hats and snare rolls to our existing arrangement. Note how the steady clave-like beat of the hi-hat gets that distinct “dipping” feel by switching to the 1/64-note grid and adding those snare rolls. This is perhaps the most important step. 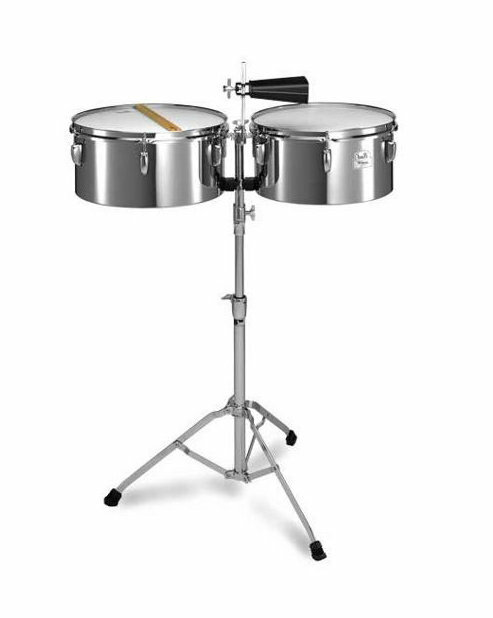 A true reggaeton beat always includes something that plays the role of timbales. This is something not easily replicated solely using samples and it’s something that can’t be easily replicated on a drum machine or sequencer. That’s because the drum itself plays both the role of rhythm and melody. In real life, timbales are tuned to different pitches allowing the player to bang out percussive melodies depending on which order they play their timbales. How do we replicate this instrument on our DAW? We do it like this. We think like a timbale player would. Using the three drum hits in the [Melt] kit that use the same sample [Percussion Chick A] we pitch-shift them [+18.215 st, +12.730, and +7.685 st]. Furthermore, in Bitwig Studio, we can do so by clicking on the Drum Machine module, and then double-clicking on the respective sample square which then expands an instance of Sampler for that hit. Then, within Sampler, you can adjust the [Pitch] control setting (highlighted above) to match the pitches mentioned earlier. Once that’s done, we then start hearing that sound of palm-struck, tuned percussion as we enter our pattern. Its something I’ve highlighted by zeroing in on the pattern in the audio clip below. Note how the pattern itself features a steady 3:2 tresillo rhythm that you’ll find in a lot of African and Latin music. What makes this rhythm so complex is the sonic interplay those tuned drums evoke when riding that rhythm. There are very few final touches that are needed for this beat. If you go back to the first step, notice how I used effects sparingly. Other than to amp up the total sound with a Limiter, I chose to use hints of Chorus and stereo widening, with Bitwig Studio’s Tool effect, to make the beat pop. Where would you go from here? How about creating a whole song that goes beyond the “Dem Bow” beat? We already have the first pattern. Now, if we add two more, then we have a chorus and a bridge. Finally, with all of these created, then we have some building blocks to make a song. You can see the song I made at the beginning of this post, on the zZounds Soundcloud. What are these building blocks? Here are my suggestions. Most of all, even if you only have one beat to ride, try to introduce a bit of human touch to the complete song. 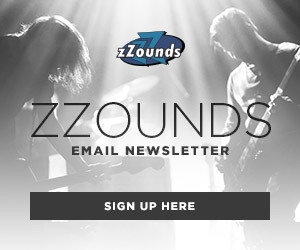 Take cues from reggae artists that mute or apply delay to specific drum parts. Want to really jazz up the timbal-like part? How about assigning the pitch control to an actual MIDI controller knob and tweak the tuning on the fly? Don’t have a controller? Then use Sampler on a separate track, load up the same timbal-like sample, and finally use your keyboard to trigger those pitches manually. Wise producers substitute the more percussive parts with guitars and lead synth lines to play that same role. At the end of the day, what matters is making your head bob. If you’re feeling it, you’re probably making the right Beat Connection.